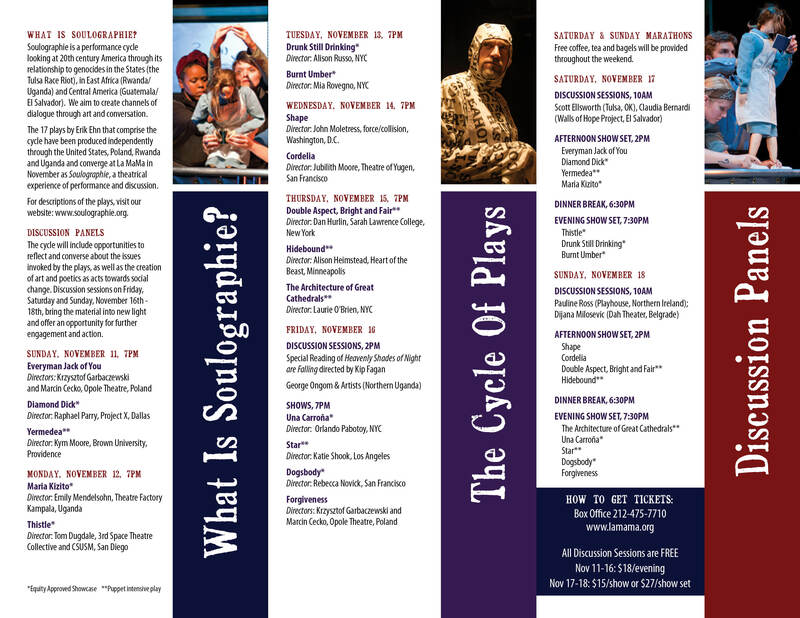 The cycle will include opportunities to reflect and converse about the issues invoked by the plays, as well as the creation of art and poetics as acts towards social change. Discussion sessions on Friday, Saturday and Sunday, November 16th – 18th, bring the material into new light and offer an opportunity for further engagement and action. Director: John Moletress, force/collision, Washington, D.C.
Free coffee, tea and bagels will be provided throughout the weekend.